Dr John Stratton is an Australian veterinarian and longstanding World Organisation for Animal Health (OIE) Performance of Veterinary Services (PVS) Pathway expert. He started his functions as Deputy Head within the OIE Regional Activities Department in Paris in July, 2016. At OIE John’s main role is in managing OIE activities related to the PVS Pathway in strengthening Veterinary Services’ systems compliance with OIE international standards, including managing its evolution based on Member Countries, partners and OIE needs and expectations. This includes being closely involved with its growing One Health links to the WHO International Health Regulations Monitoring and Evaluation Framework targeting health security systems. John also contributes to the management of the personnel and activities of the Regional Activities Department, including the strategic planning, promotion, coordination and follow up of the implementation of the activities of the OIE Regional and Sub-Regional Representation offices. John also participates in the development, implementation, and follow-up of activities of specific national and regional programmes, including global animal disease eradication and control programmes (FMD, PPR, and Rabies among others). A veterinarian by training, John graduated from Sydney University (Australia) and has a post graduate qualification in Biotechnology from Monash University (Australia). 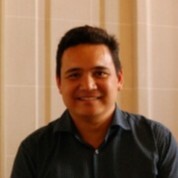 He has worked extensively in South East Asia, firstly in Phnom Penh (Cambodia) on a research project on field services and FMD control, and then for the OIE Sub-Regional Representation for South-East Asia in Bangkok (Thailand) as Program Manager, focused on the establishment and optimum use of the OIE PVS pathway in the sub-region. He has been a certified, active PVS expert since 2009 having undertaken over a dozen PVS evaluation and gap analysis missions in Asia, Africa and the Pacific. John has also worked in several senior roles with the Office of the Chief Veterinary Officer, Australian Department of Agriculture, Fisheries and Forestry (DAFF) since 2003. He worked for several years in the position of national coordinator for Animal Health Committee, the leading Australian animal health policy forum comprising the Australian and state/territory Chief Veterinary Officers, senior industry representation and the Australian Animal Health Laboratory. Before moving to Paris to take up his position with the OIE he was involved as national lead for coordinating Australia’s successful OIE PVS evaluation in 2015.